Dragonwood is a large forest in the south of the kingdom. 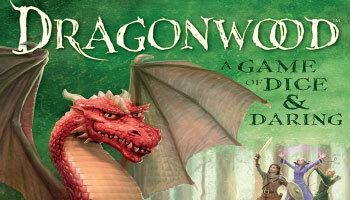 You are adventurers on a journey through the enchanted forest of Dragonwood. 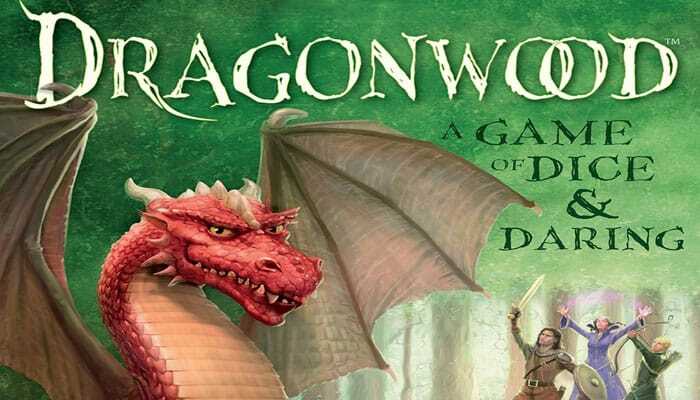 The players take on the role of adventurers traveling through the magical forest of Dragonwood by playing cards and rolling dice to defeat creatures and capture magical items. Enhancements are a very important, even though they don't give players any victory points for capturing them. There are 3 ways to capture cards, you can strike, stomp, or scream. In order to capture cards, your roll must match or surpass the value printed on the card you are attempting to capture. The game ends when either both dragons have been captured or the adventure deck has been played through twice. The player that ends with the most points will be declared the winner. Remove the 2 turn summary cards and then split the rest of the cards into two decks according to card back. Sort through the Dragonwood deck (green back) and note that there are three different types of cards: Creatures (green background), Enhancements (purple background) and Events (orange background). See "Card Types" for more details about each.